Ahead of Indian foreign secretary’s visit to Pakistan, all issues including Kashmir, Siachin and border situation will be discussed with Subrahmanyam Jaishankar. Pakistan’s spokesperson Tasneem Aslam has said that we say welcome to Indian foreign secretary for taking initiative to start peace talks, all disputes including Kashmir, Siachin, Border situation and Sir Creek will be discussed during the foreign secretary level talks to sort out the positive solutions. “Indian Prime Minister Nerendra Modi in his call to PM Nawaz Sharif had showed willingness to send Indian foreign secretary in Pakistan, the visit has scheduled with the same expect”, he added. Probably, the Indian foreign secretary will visit the Islamabad on 3 March as part of his visit to SAARC countries. Pakistan in intended to having meaningful dialogue with India and Pakistan’s foreign policy is based on having peaceful relations with all countries without differentiating anyone. Pakistan’s foreign office spokesperson criticized the boat controversy and confirmed that Pakistan isn’t involved in any miscreant activities, the boat issue was a drama and Indian media has fully exposed and proved it. Moreover, she demanded a detailed report from India about the bomb blast in Samjhuta Express which claimed the lives of 68 people, maximum Pakistanis. 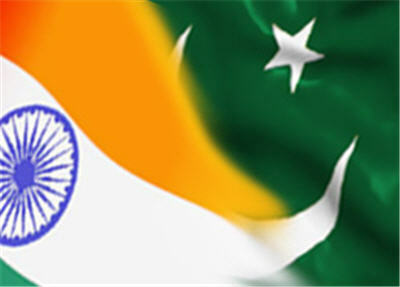 Relations between Pakistan and India have been anxious over the past few months because of erratic incidents of conflicts along the Line of Control and working boundary which has killed many innocent people and cattle. However, it’s hoped to resolve all the long standing issues and conflicts in upcoming visit of foreign minister and expected to renew the stalled peace process.